You will arrive and be greeted by our receptionist. At this point you will be asked to fill out a short health history intake. When your therapist meets you, he or she will take you to the treatment room where the two of you will discuss your session needs, concerns, and questions. Your therapist will then guide you through what to wear and how to get onto the treatment table. As far as draping goes, there are several options. Shorts and gowns are provided, you may bring your own shorts and top or a bathing suit, or you may use the sheets and blanket provided. Whatever you choose to wear should leave you with a feeling of maximum comfort while being treated by someone you have not met before. Often, new customers start out using shorts and gowns and convert to sheets when they are more comfortable. Others continue on with the shorts/gown draping. After guiding you through your draping options, the therapist will leave the room so that you may undress in comfort. The first session may be more talkative than future sessions. The therapist asks for feedback about pressure and comfort. This first session is also a good time for you to ask questions regarding massage therapy. Please offer your therapist honest feedback about your session. At first you may not know what you like or need, but as the session develops, you will be able to communicate more and more. We hope this question/answer content has been helpful to your understanding of our Hands on Health wellness practice. Please contact us if you have further questions. About Hands On Health | We are your Partners In Health. Partners In Healing. Hands on Health massage therapists are highly experienced and educated professionals, who are empowered to continually expand their individual talents and specialties. Our cohesive team of therapists have all participated in I-NMT Training — a comprehensive medical massage technique with an Integrated Neuromuscular & Myofascial approach. 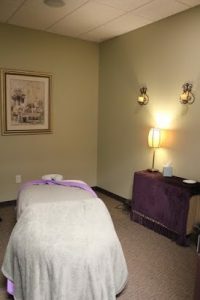 As a visitor to Hands On Health, you and your loved ones can benefit from the wide variety of services and specialties that our practice offers — from therapeutic massage to specialty and medical massage techniques.